SWIMMING: Medals and personal-best times were the order for the weekend at the Fairymead Swimming Club City of Charm Long Course Preparation Meet in Bundaberg. It augers well for those from the Gladstone Gladiators who have done those feats ahead of bigger event. Gladiators will continue with their training cycles to prepare for States next month and the others recover and return to their peak for the next major carnival - the 40th Harbour City Long Course Preparation Meet in Gladstone in January. The CQ Championships in Rockhampton follows in February before a squad of 10 head to the Czech Republic to take part in the Annual Keep Swimming Camp and participate in the Junior Olympic Festival in July. Coach Tom Fronek was more than happy with what occurred. 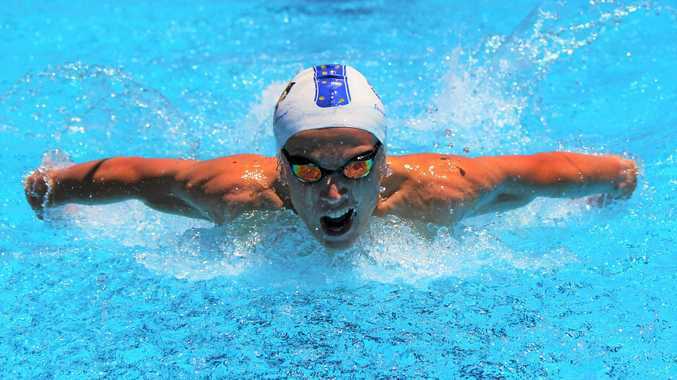 "We have five swimmers who have qualified for States and a couple who have just missed out this time which is disappointing for them as they have trained hard," he said. Gladiators produced sizzling results with 120 top-10 places that had 13 qualifiers for the 50m finals dash for cash, 14 gold, 17 silver and 19 bronze medals and a 95 PBs from 196 races. "It was a great weekend of racing and I am proud of all of them and the effort they have put in to get here and to do so well in hot conditions up against unknown competition for some," Fronek said. "When you race outside your region the results are not as predictable as they could be when you race the same swimmers from the clubs all the time."